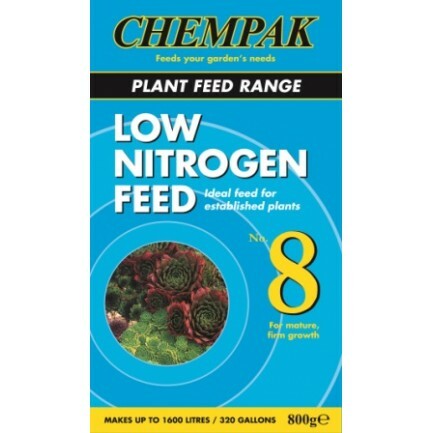 A lower nitrogen formula containing extra phosphate and potash to mature growth. An ideal maintenance feed for established heathers, conifers and other plants where lush top growth is undesired. Makes up to 1600 litres/320 gallons approx.